If you haven't read my last review, please do! You can read that here and it'll give a lot more context to this review. Sorry that this review is a couple weeks late but university work and hospitals have taken over my life! These Eylure 202 lashes were the other pair that falseeyelashes.co.uk sent me. These eyelashes are my favourite eyelashes ever, I've seriously been wearing these since I was around 14 and started wearing eyelashes every day, my boyfriend even knows about these! They're from the Eyelure's double lash range and are beautifully thick and black, the double lash creates an extremely wispy effect which I love. There's also a thick band which means they're super easy to apply and great for beginners. Now, these are thick lashes; if you love drama then these are for you! These Eylure's are the perfect 'going out lash' as, even though they're thick, they're not too long which means you avoid looking like a drag queen (no shade). I like wearing these in photos as they're really noticeable, even from afar. Eylure are consistently good across the board and they have so many different lashes for any occasion, all available via falseeyelashes.co.uk. 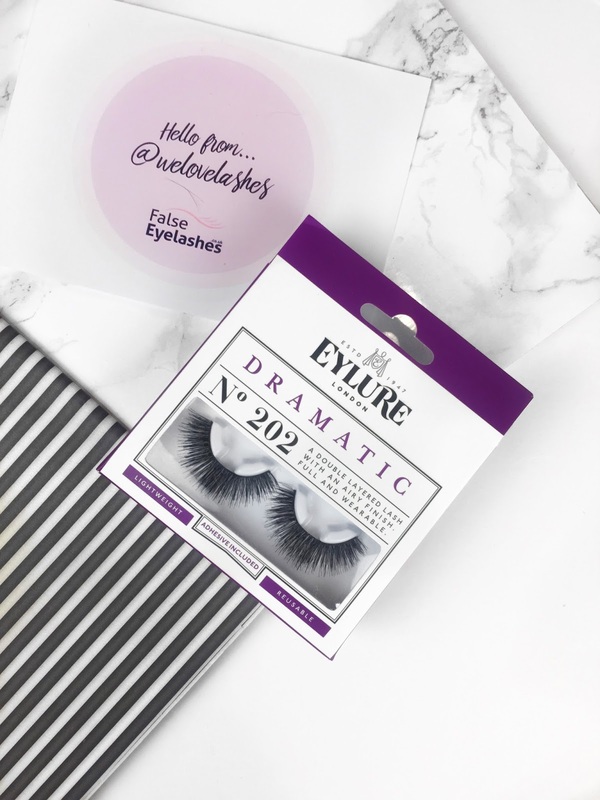 As mentioned in my previous review, Eylure glue is my favourite and every pack of lashes comes with a tiny tube of it - I buy that many Eylure lashes that I've never had to buy a full tube!! As I said, I've had a lot of experience with these babies and I know that every pair I've ever had (probably close to 100 pairs - no joke! Sorry bank account) has lasted around 10 wears - and that's with me being rough and not taking care of them properly. I find using latex glue helps extend the wear time as after each wear you can just peel the glue off, but if you have latex allergies or just generally dislike it I've heard washing the lash band in a tiny bit of water and makeup remover helps keep them from falling apart. I hope you pick these up and I guarantee you'll fall in love with them like I have. What are your favourite lashes? Have you ever tried these? I don't wear eyelashes often at all but if I were to wear a pair for an occasion I'd definitely run straight to Eylure! These look lovely. Eylure are definitely the best drugstore brand!